For those joining the team, each nannies is interviewed personally and is evaluated according to the strictest criteria of professionalism, skills and reliability. Most of our babysitters and nannies are already well known by us as they have fulfilled their duties over many years with western family. Finding the right babysitter & nanny to match your specific childcare needs is very important. That is why before an assignment is proposed to one of our babysitters & nannies ; careful consideration is given to the needs of the clients in terms of the age of the child, language preference, dietary requirements and location etc. And they are very experienced with assisting children from all over the world. with your very own personal nanny whilst visiting Bali. "Thank you for the excellent nanny, (Asri one of the best nanny in Bali i think..) you provided with 7 days notice for our trip abroad. Your service was very valuable - evidently providing an excellent Bali nanny. We appreciated your efforts and will use the service again for holidays. Thank you." "I felt that Dewata Bali Nanny understood my requirements well. 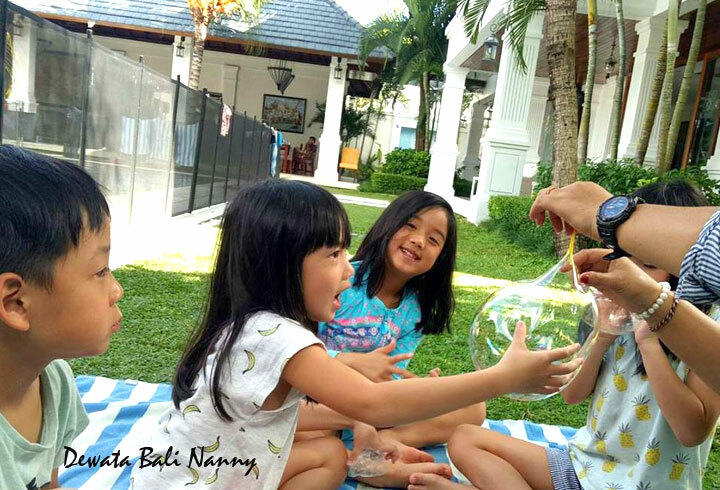 We had not had a holiday nanny in Bali before, and the one we had was lovely one - Nanny Nia fitted in very well & she was very professional. Having her with us meant that we had a proper break." "We look forward to meeting you and your little ones here in Bali." Proudly serving Island Of God area including Canggu, Pererenan, Batubelig, Kuta, Seminyak, Jimbaran, Uluwatu, Nusadua, Benoa, Sanur. Copyright © 2019 DewataBaliNanny. All Rights Reserved.